When Callum discovers village outcast Iona on his remote Scottish farmland, he is not to know that his life is going to be turned upside down. Not only because of the friendship he strikes with the little girl, but more so because of the secret she soon shares with him: there are ospreys on his farm. And so the journey to protect the birds, and specifically the female, Iris, begins. But tragedy strikes and Callum is left to help Iris on her way to Africa on his own. Callum faces heartbreak, loss, hope, despair and elation, and finds a new friendship in the most unexpected way. At the end of Iris’ journey, Callum, and his friends, will be also have gone through a journey of their own, and will never be quite the same again. 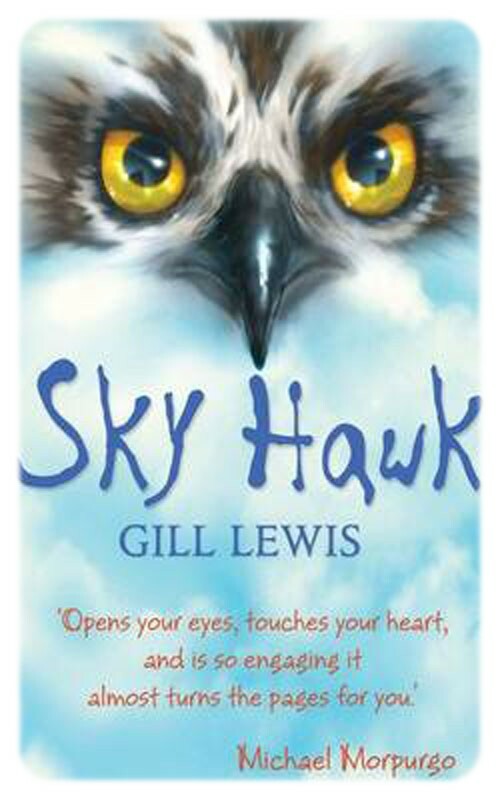 But although the survival of ospreys is pivotal in Sky Hawk, the story is not only about protecting birds; it is about the importance of friendship, and the spirit that holds small communities, whether they are in Scotland or Gambia. The author makes a parallel between both communities which are world apart in many ways, but very similar in others. The survival of the osprey, or kulanjango, is what links them, and for both it is a sign of hope and good luck, but the real parallel is their fierce support of Callum and Jeneba. One thing I loved about Sky Hawk is how Callum follows Iris’ progress towards Gambia via Google Earth, and how, once the secret of the ospreys’ existence is out, it becomes a class project, and the children get to learn about all the places Iris flies over. What an inspired idea, I would love for my children to do something similar at school. There is something amazingly positive about this story, a large dose of hope not only for the survival of ospreys but also for us; in a society where we keep being told that people only care about themselves, it is heartwarming to read about a community which protects and looks after its own.